Your team just barely made a mission-critical deadline. You were rushing. Your co-workers were rushing. Tempers flared at times. Emotions ran high. After weeks of stress, everyone was burned out. What happened? Your team is full of qualified, intelligent people. You all work well together. Hopefully, you all enjoy your jobs. Your team didn’t hand in a hurried product on a crazy-making schedule because it lacked talent. It lacked a culture of accountability. Every successful organization needs to have a collective mindset: the team is responsible for its actions and their subsequent consequences. If your team doesn’t have this mindset, you can help change things even if you are not leading the team. You need to start by understanding what accountability is and why it’s so essential to success. Accountable teams have an unshakeable sense of ownership. As a group, they feel responsible for every part of a project, from the planning stages to the post-mortem evaluations. They’re open to feedback, seeing this assessment as a pivotal opportunity for improvement. If the team fails, its members are willing to hear what they did incorrectly and to integrate that feedback into future projects. There’s no finger pointing or blaming in accountable teams. On an individual level, accountable team members own their respective roles. Each member knows what their job is and what role they play within the team. That said, they will perform duties outside of their job description, particularly when it’s helpful to a project’s overall success. Accountable team members are also committed to their co-workers’ success, even if they’re participating in healthy forms of inter-office competition with those co-workers. Why is accountability so important in the workplace? Without it, interpersonal conflicts are inevitable. Team members focus on blaming each other instead of focusing on finding a solution. Accountable workplaces make your team happier, more effective, and more efficient. Here’s how you can foster accountability in your team. You might not be a manager or a supervisor. However, you can still be a de facto leader within your team by taking these steps to facilitate accountability. Everyone in your team should know what his or her duties are for every project. Their roles should be clearly defined. If they’re not, it’s time to clarify everything. Often, managers will leave duties unassigned, which means self-starting, driven team members will go for big tasks and less confident people will take what’s left over. Unfortunately, that kind of role allocation doesn’t play to each person’s strengths. Set aside time to figure out who should be doing what before this happens. Fear is the most common reason people avoid taking responsibility. They don’t know what the consequences of their mistakes might be. To mitigate what they’ve imagined to be the worst-case scenario, they get defensive. They don’t acknowledge or accept their errors, and they lose an opportunity to improve their performance. More often than not, team members are fearful because their workplace culture lacks trust. You can help build trust within your team by being encouraging, providing support, and giving credit where credit’s due. The more your fellow team members trust each other, the more open they’ll be to feedback and the less defensive they’ll feel. Just as roles within a team need to be clearly defined, the goals your team sets should be communicated to all its members. Goals help build group rapport, creating a palpable feeling that everyone’s working together to achieve the same thing. They also provide an objective standard for your group’s success. In other words, either you meet the goal and succeed or you don’t and have to reevaluate. Without feedback, we’d never know if we did something right or wrong. In an attempt to avoid conflict, workplace cultures often fail to develop protocols for giving teams constructive criticism. For example, the only feedback many teams receive is hearing that they’ve met their deadlines and achieved their goals for the quarter—or failed to do so. Arguably the most important piece of creating accountability is delivering timely, effective feedback. Your fellow team members need to know when they’ve done something correctly or not, whether it was on time, or whether it delayed the project. Delivering feedback isn’t the same as evaluating how well your team member does his or her job. Feedback is specific to a task, and should reference how the final product turned out and the timeline in which it was executed. How teams handle failure is a litmus test for accountability. If your team is so afraid to fail that it influences their behavior and performance, then you need to discuss how you can shift the paradigm. Failure presents a learning opportunity. Your team should be able to welcome failure, take it on the figurative chin, and objectively review how you all can improve individually and as a group. It’s empowering to take responsibility. Mistakes and failures often cause people to worry, making them dread the day they have to face consequences. Nonetheless, the ability to walk through that fear and take ownership is what fundamentally makes someone accountable. Your team members should be willing to take responsibility for their actions. Accountability may start with only one or two people, but it can grow like a weed throughout the workplace environment. As you contribute to your team’s accountability culture, it’s critical to develop your own leadership skills. You’ll be tasked with executing new plans, delegating tasks, managing different personalities, guiding transitions, tracking performance, and meeting deadlines. These varied management responsibilities make it challenging to stay ahead of the curve. Add some new managing skills to your leadership toolbox; sign up for PMC Training’s Managing Skills for Non-Managers workshop. 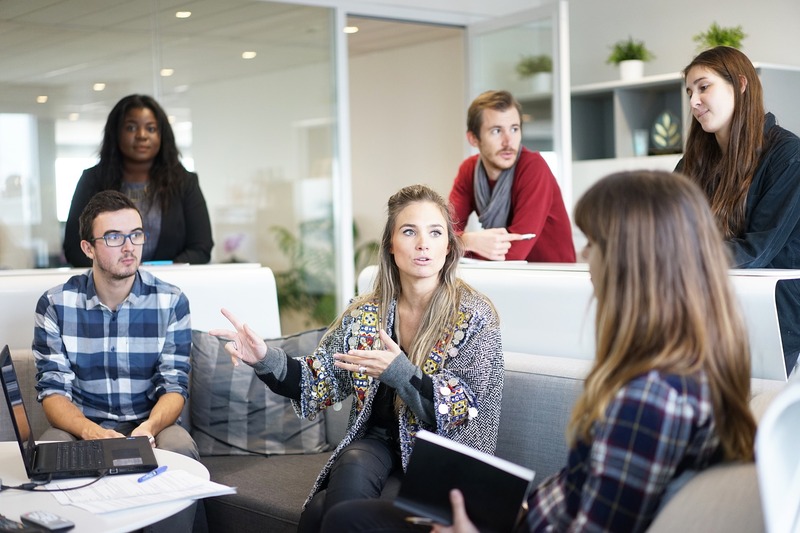 This introductory professional development course will teach you how to resolve team conflicts, deliver timely and effective feedback, and improve your team’s overall performance. We offer this one-day workshop several times per year in Ottawa. Review our schedule and get registered today or call us at 613-234-2020 (extension 21) to inquire about group training at your location.